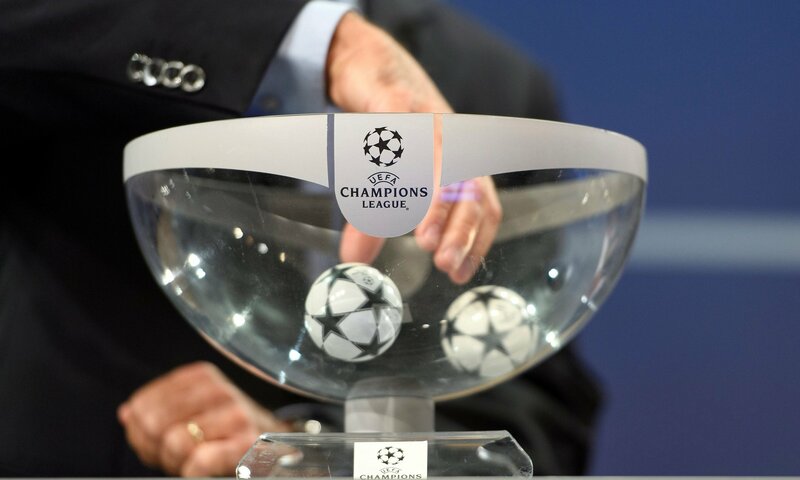 The draw for the round of 16 for the 2016-17 UEFA Champions League took place today at Nyon, Switzerland. The eight group champion and runner-up teams from the group-stages were kept in separate pots with the stipulation that teams from the same group or association would not be drawn against each other. Defending champions Real Madrid, who finished second in their group behind Dortmund, were drawn against the Italian side Napoli while Benfica were drawn against Dortmund. English side Arsenal would be facing German giants Bayern Munich once again despite finishing in the top in their group for the first time since 2012, much to the woes of the players, staff and supporters of the Gunners. Meanwhile Pep Guardiola’s side, Manchester City, who finished behind Spanish champions Barcelona, would face Monaco in the round of 16; an easier draw compared to that of their English counterparts. The other English side in the round of 16, Leicester City, in their first ever appearance in the knockout phase of UCL were drawn against the current UEFA Europa League winners, Sevilla. This is the first time in three seasons that Sevilla were able to qualify for the knockout round. The runner-ups of the 2014-15 UCL season and current Italian Serie A champion, Juventus will face Porto while the runner-ups of last season, Atletico Madrid were drawn against the German side, Bayer Leverkusen. Elsewhere, Spanish champions Barcelona were once again drawn against Paris Saint-Germain, the side they knocked out in the quarterfinals of 2014-15 and 2012-13 seasons of UCL. The first leg matches of round 2 will be held on February 14, 15, 21 and 22 while the second leg fixtures will be held on March 7, 8, 14 and 15. The draw has presented us with a handful of exciting fixtures. Arsenal and PSG will look forward to break their Champions League jinxes against Bayern Munich and Barcelona respectively. Leicester City, on the other hand will look to transform their magic of last season from Premier League to UCL. Despite their woeful start in the English Premier League, Leicester remained pretty solid in the group games of UCL, losing only in the last match. However, Sevilla are not to be taken lightly. Sampaoli’s side are currently third in La Liga and are to be feared by any opposition. The current reigning and defending champions, Real Madrid have got a comparatively easier draw against Napoli. Their arch rivals, Barcelona will travel to Paris once again while holding a perfect win record in the knockout phase against their French opponents. In the end, Arsenal were the only side gaping at their luck after doing everything in their power to avoid Bayern Munich but failing to do so ultimately. It will be intriguing to see whether they can break their jinx this time. Stay tuned for the round of 16 matches scheduled to be held in February and March to see whether your favorite teams make the cut to the quarterfinal or get eliminated!